Rick Harp: Welcome to Episode 8 of Infectious Questions, a public health podcast produced by the National Collaborating Centre for Infectious Diseases. At NCCID, we help those with infectious disease questions connect to those with answers. Hello, I’m Rick Harp. Shivoan Balakumar: And I’m Shivoan Balakumar. In this episode, we continue our look at refugee oral health. Harp: Last episode, we discussed universal screening and how to optimize collaboration between primary care providers and dentists. Balakumar: This time around, we’ll discuss the Interim Federal Health Program. It provides limited, temporary coverage of healthcare benefits to people who aren’t eligible for health insurance. Harp: Joining us once again is Dr. Carlos Quiñonez, an associate professor of dental public health at the University of Toronto. The director of its specialist training program, he’s a past president of the Canadian Association of Public Health Dentistry. Doctor, welcome back to Infectious Questions. Dr. Quiñonez: Thank you, Rick. Harp: What is the Interim Federal Health Program (or IFH) and what does it cover? Quiñonez: First of all, the Interim Federal Health Plan is there for a variety of groups, including refugees, to help them in their resettlement and their transition into Canadian life. And essentially it plays a role as people are settling into the provinces and they can become covered by our provincial health plans. It’s important to understand that, even at the level of provincial health plans, little to no dentistry is covered under such plans. Most provinces and territories essentially target public subsidies to low-income kids, to low-income adults and seniors, and some disabled communities. So, it’s very targeted care, and, as we know, dentistry is not part of Canadian Medicare. So the IFH Program essentially matches that approach, where it understands that refugee families, you know, are experiencing some level of, probably, economic insecurity and need that support in terms of the ability to access dental care. As we know, the IFH has recently been in the news because the previous government wanted to move away from this approach. But then, with the new Liberal government in place, they’ve now reinstated the program, and that’s very laudable and it’s important. That said though, the program itself provides very limited coverage. It’s really coverage for people that have… that are experiencing pain and infection. But there’s a whole host of other dental treatments, dental services, that are important for the prevention of disease, for example, for the maintenance of oral health. And these things aren’t always covered by the IFH plan. So, again, the IFH plan is really a stop gap from the point of view of dentistry. And my hope is that they would do more, but I’m just glad that they’re still willing to do something. The other positive thing about the IFH plan is that it pays fees that are equal to what dentists would expect in their respective province, and that’s important because many provincial dental care plans often don’t pay at a rate that is acceptable to dentists, which sort of complicates matters. So, at least, the IFH has that right; I just wish they would expand the basket of services beyond just simple extractions and emergency fillings and things like this, and provide a larger suite of services to help refugees prevent disease and maintain their oral health. But again, as I tell my students, something is better than nothing and I’m just glad that it’s there. Balakumar: So Doctor, how are dentists currently addressing the gaps you just identified? Quiñonez: So this is actually a very good news story because dentists are actually doing a lot. I work very closely with our provincial dental association here in Ontario, and through my work with them, on almost a daily basis, I hear about that unique relationship that develops between dentists and their communities so that they become like a stop gap measure. But dentists also come together to do more sort of formal organized things, and through their volunteer efforts, they’re able to, in this case, help Syrian refugees. I mean, this doesn’t happen everywhere, and I’m not suggesting that volunteerism and charity is the answer to these problems, but, again, that adage of something is better than nothing. And I think as a professional community, we’re doing good work. I’ll always say we need to do more. That’s what being a professional is about. You just really need to do as much as you can, so in that sense we can do more. But, you know, there’s a lot of people out there doing a lot of good stuff and I applaud them for that. But ultimately, again, I think it comes down to the work of governments to make sure that there’s adequate funding and support for, not just refugees, but also all low-income populations with the financing and delivery of dental care. Because ultimately these are the populations that tend to need the most care, and they also tend to receive the least. So it’s a real pickle for us in public health to try and address this issue, especially with what I believe to be inadequate funding and support. Harp: Dr. Quiñonez, thank you. Balakumar: For more on the IFH Program for refugees, go to nccid.ca/ifhp for information about our recent webinar on the subject. Harp: That’s it for this episode of Infectious Questions. We’d like to hear your public health questions about refugee oral health.  Email them to nccid@umanitoba.ca. Balakumar: Or call us toll-free at 1-844-847-9698 and record your question there.